Before we left the US, we started our Visa process. 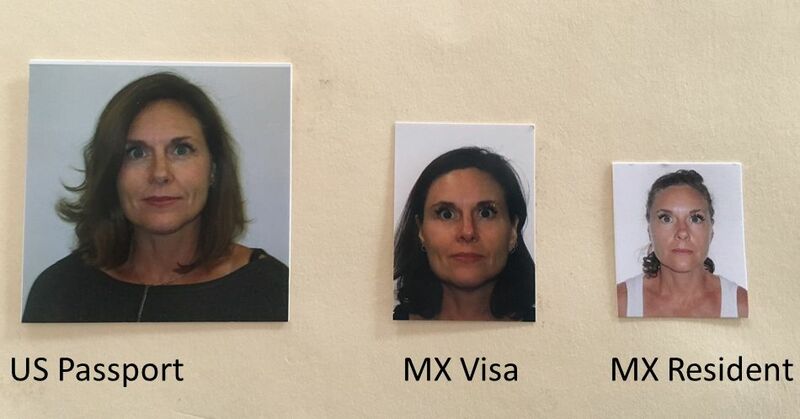 I detailed the process and our experience in a previous post – Mexico Visa Process – Part 1. Once we arrived in Mexico, you have 30 days to start the second part of the process. You don’t have to finish it in 30 days – just start it within 30 days. After talking to a few people here in Puerto Morelos, they all suggested working with a lawyer who specializes in immigration to help us through the process. In fact – everyone recommended the same lawyer! This ended up being a great decision. He was fantastic – and really made things super easy. The lawyer came to our house, and explained everything we needed to know, including how the process worked, what to expect, and all associated costs. We gave him copies of our passports, drivers license, the visas that we got in the US, bank statements, etc. Pretty much all the same stuff we provided in Austin at the Consulate when we started the process. Note: we didn’t have any documents apostiled, nor did any of our documents need to be translated into Spanish. We paid him all of the government fees, and half of his lawyer fees. Our lawyer handled the next step – taking our paperwork and fees to the immigration office. About a week later he sent us a copy of the paperwork from immigration that indicates our application is in process, and it is is proof of our legal status. This paperwork is kept with our passports, just in case a government official asks for it. Within a couple of weeks, we had an appointment at the immigration office in Cancun. For this visit, we had to submit pictures and sign some papers. The pictures need to be a certain size, which was smaller than normal passport photos. In the picture, you can’t wear any jewelry or glasses, and your hair has to be tucked behind your ears. No smiling! The right photo size is important! We met our lawyer 30 minutes before our appointment, and we went to a nearby photo place. “Photo place” is probably a generous term. I didn’t see any business signs, and there was a woman with a digital camera, a computer, and a printer. Not exactly Olan Mills. But it works! Both Elizabeth and I have earrings that do not easily come out. So when we got to the photo place, this became a problem. But, no problemo senor – a colleague of our lawyer who was helping out went next door to the pharmacy and got some band-aids. He then cut off a small piece, and covered our earrings with the flesh-colored part of the band-aid. Problem solved! Once we had our photos in hand, we had to fill out an additional form, and then we went back to the immigration office to submit our pictures and paperwork. We were supposed to do fingerprints this day as well, but my CURP number wasn’t ready. CURP (Clave Única de Registro de Población), is a unique identity code for both citizens and residents of Mexico. Elizabeth’s was ready, but mine wasn’t. So we were done for the day. We would have to come back in another week or so. The INM (Instituto Nacional de Migration) office in Cancun (Immigration Office) is a bit chaotic. Although there is some sort of system / process to it all, it’s still kinda crazy. First up, it’s small. A lot smaller than you would expect for the number of people who are in there every day. There’s 3 counters, staffed by a handful of people. And it’s all in Spanish. I heard a few English sentences/words here and there. There’s about 30 chairs in the waiting area. And that’s the line. So when someone gets up to go to the counter, everyone shifts over a seat. 10 minutes later, 2 people go to the counter – everyone shifts down 2 seats. And so forth. There’s a guard at the door, controlling traffic. When someone leaves the building, he lets someone else in. So between the seemingly chaotic nature of the office and processes, and the fact that everything was in Spanish – we were especially glad that we hired a lawyer to help us through this process. A couple weeks later – another appointment, and we met our lawyer and his colleague at the INM office. This time, they took our fingerprints, and had us sign our signatures that would be used on our resident cards. 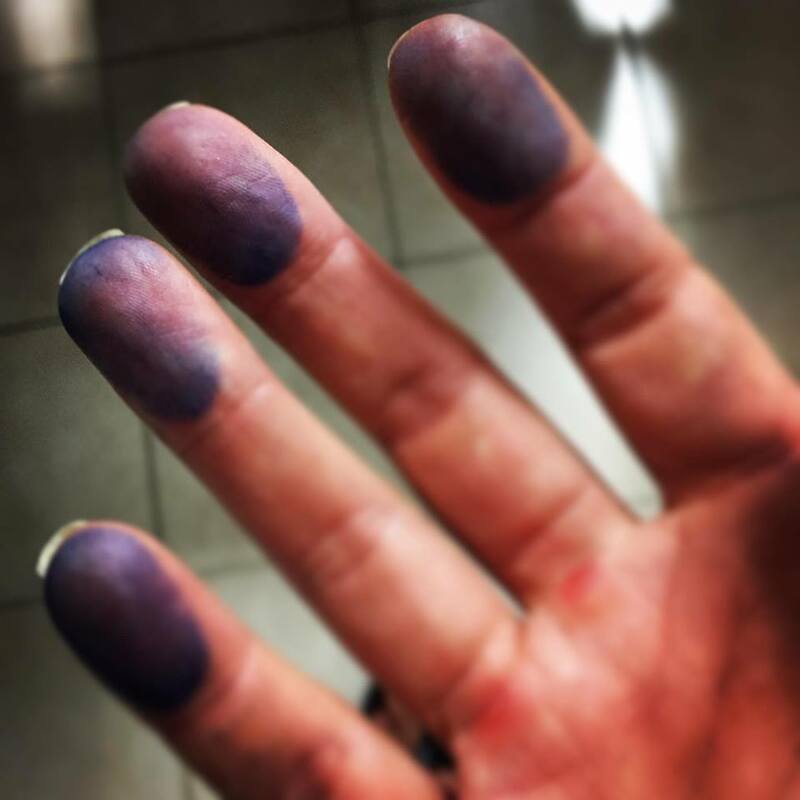 Fingerprinting was very old-school. There was an ink pad, and paper. Press each finger onto the ink pad, then press it onto the paper. I’m AMAZED that it’s still done this way, as opposed to electronic fingerprints. The ink fingerprints don’t seem that clear, but apparently they’re good enough. So they now have all of the required documents, signatures, fingerprints, and photos. Now we wait for the cards to be ready. A week or so later, and our resident cards are ready! There’s not an appointment, so we show up at the INM office at 8:30 (they open at 9:00). We started off about 4th in line outside, but there was some pretty aggressive line cutting going on, and by the time we made it inside, we were about tenth in line. Easy day – our cards are ready – just go to the counter, pick them up, and we’re on our way. Right? Uh, no. This is Mexico. Half an hour in line, then we get to the counter, and we’re given a number. Numero Uno! It should be quick. Go sit down, and wait for your number to be called. Another half hour, and our number is called. Go to the counter, and the lady finds our files, and we see our cards! But, its still another half hour of her doing this and that, and us signing another form, before we’re finally ready to leave. Regardless – 90 minutes later, we’re out of there – with Resident cards in hand! The lawyer’s fee was 2500 pesos per person. About $137 US. My lawyer in the US charges $250 US per hour. So our Mexican lawyer is a bargain! Grand total, for both of us, including lawyer fees: $16,430 pesos. About $900 USD. We first met with our lawyer on May 5, and we got our Resident cards on July 3. So about 2 months total time, start to finish. The process itself isn’t that difficult – although we felt hiring a lawyer to assist us through the process was well worth it. You can do this process yourself, without a lawyer. 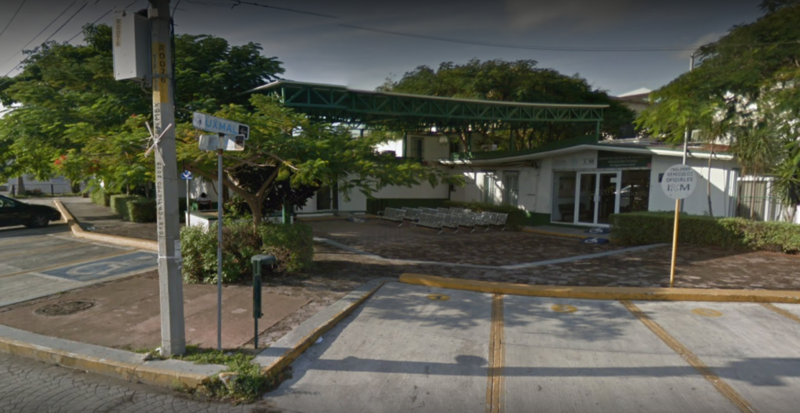 And we’ve also heard from a few folks that the INM office in Playa del Carmen is much easier and nicer to work with. So that’s another option. We were talking with a friend yesterday, and we told him that we received our Permanent Residency. His reply was that we’re now Half Mexican! Not sure that’s exactly how it works, but whatever, I’ll go with it! Congrats to both of you on becoming mexico permanent residents. 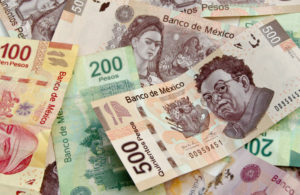 Me and my wife hope to start the process of getting residency next year as we are looking at retiring in Mexico. I am hoping it will be easier for us since I have dual citizenship. We’re pretty stoked about our new status. I think you’re right – moving down here as a citizen should be much easier. Good luck with your plans! 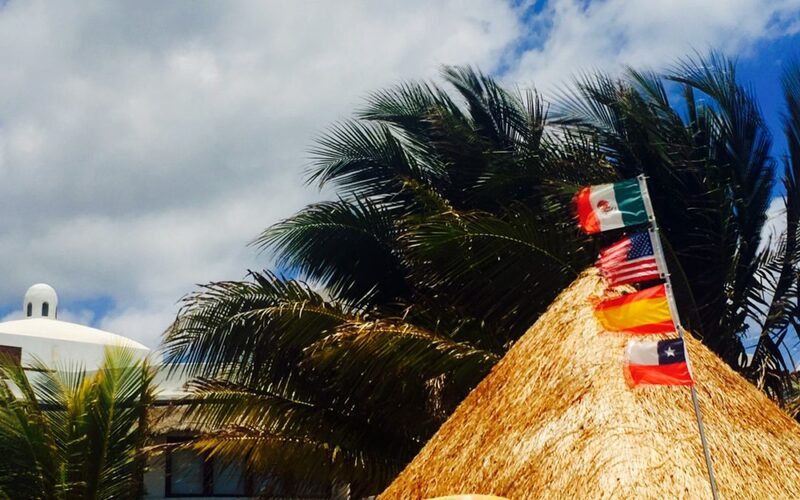 We are re locating to Cozumel and I am interested to know if you still kept your American citizenship as well. We are still US citizens. 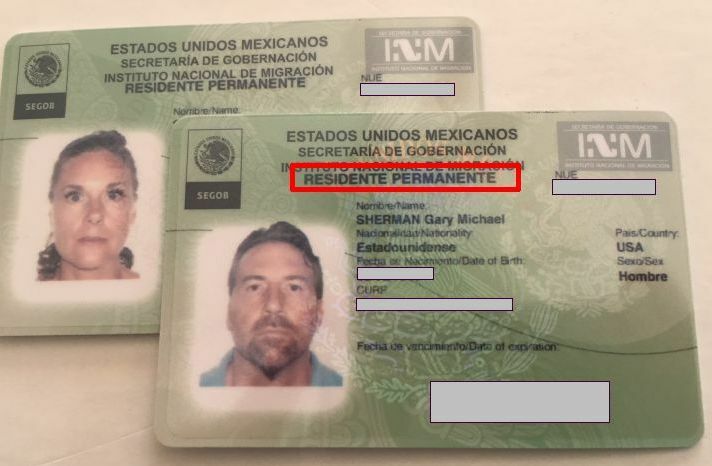 Permanent Residency in Mexico is not the same as Mexican citizenship. From what I understand (and I’ve only briefly looked into this, do don’t quote me here) – after 4 years of being a perm. resident, we can apply for Mexican citizenship. And you can have dual citizenship – both US and Mexico. But for now, we’re only permanent residents in Mexico, not citizens. we were surprised as well. we didn’t plan on getting permanent residency visas right from the start. but we’re glad we did!